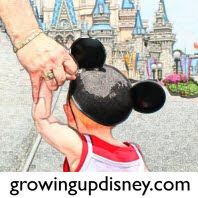 Growing Up Disney: Eversave Orlando Giveaway, One Day Only! Eversave is a super site featuring deals all over the country and I am working on a full review of this service to appear here soon. They have a great one day only "Save" today. 10 carwashes for only $10 in Orlando and New Port Richey. Seriously, when's the last time you saw that price? I used to pay that with a fill up at my local gas station but that was back in high school and that was, well, not last year. AND if you use the code WASH, you'll get another dollar off. Buy them for yourself or for gifts and use them between now and October 21, 2012. Even if you only vacation in the area, it's still a super price. Visit Eversave for all the details and to buy this super Save! Don't forget to use the code WASH for additional savings. This is too good a deal to pass up, but it gets even better! Eversave is giving two Saves to Growing Up Disney readers. This will be open from midnight to midnight, today only, so enter NOW! This contest ends at midnight Eastern time on Thursday, April 21, 2011. The two winners will be chosen at random from all eligible entries. You'll be notified via email (so make sure I can reach you!) and have 48 hours to respond or another winner will be chosen. Good luck! The random number generator pulled comment #7 and #3. Congrats to Tracey F and JJ! i don't just "like" eversave orlando on fb...i LOVE it! and now, i also "like" the growing up disney blog on facebook, too!